CLUAS.com has been providing coverage of Ambassador Theatre concerts since 2001. Below are links to Ambassador gigs that have been reviewed by CLUAS.com writers in that period. 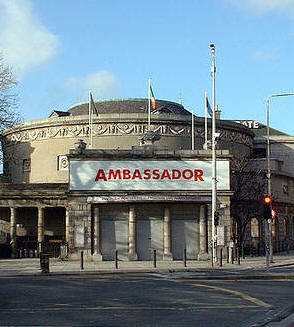 For info on upcoming gigs in the Ambassador Theatre visit the venue's official listings. Going soon to a gig in the Ambassador? Or have you recently been to one? Then be sure to submit a review of the gig to CLUAS!